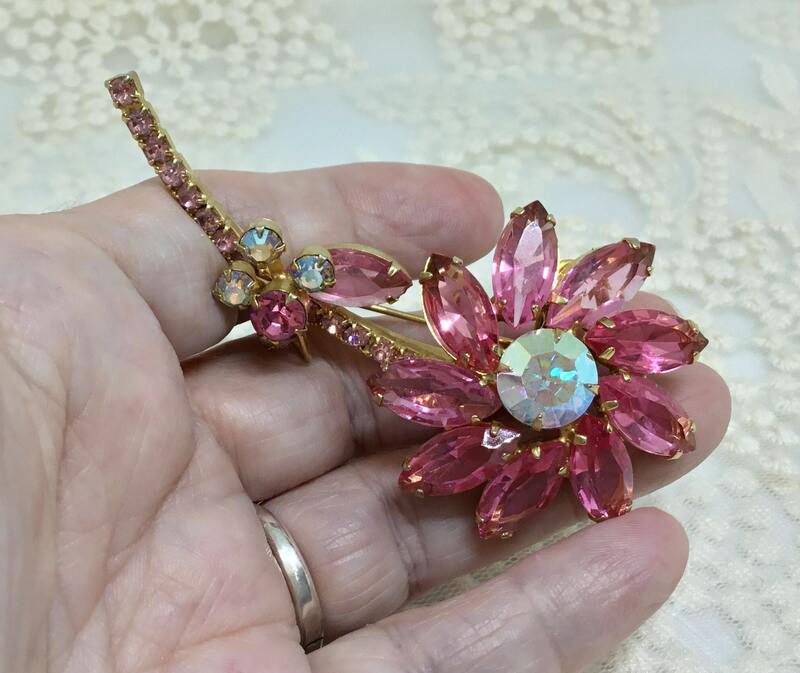 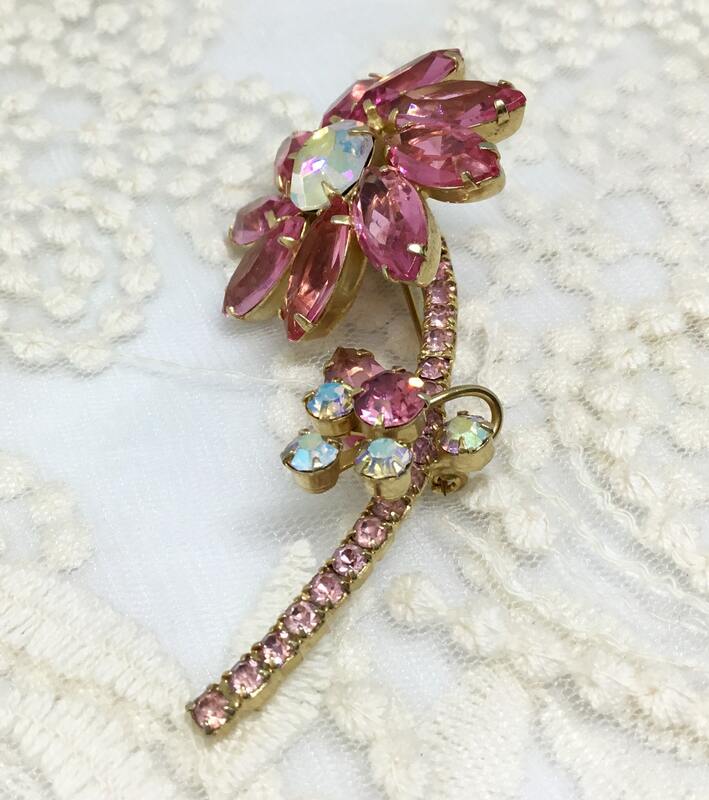 This is a wonderful vintage D & E Juliana goldtone 1960s AB and pink rhinestone flower brooch. 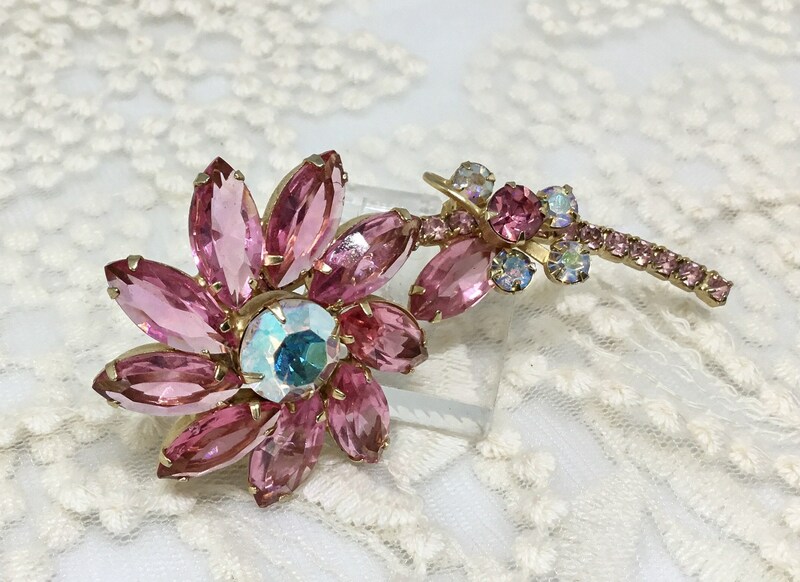 The swirling flower petals are navette shaped and have a large AB center rhinestone. 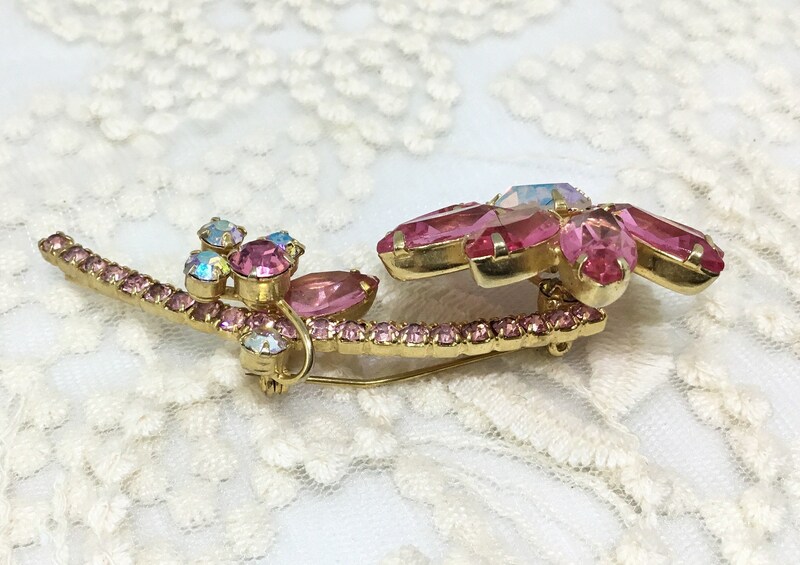 The long gracefully curving stem has pink rhinestones the entire length. 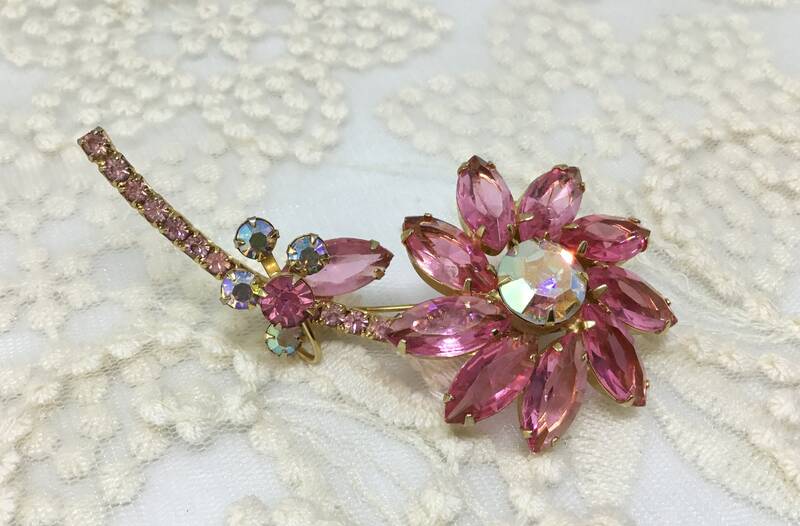 Midway is a pink navette leaf rhinestone with three AB accents. 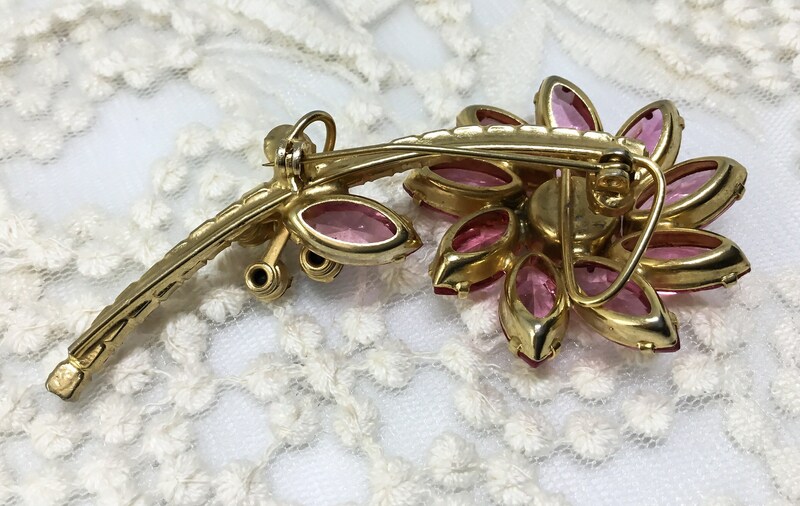 It measures 3” x 1 1/2” and the pinback is straight and works smoothly and securely. 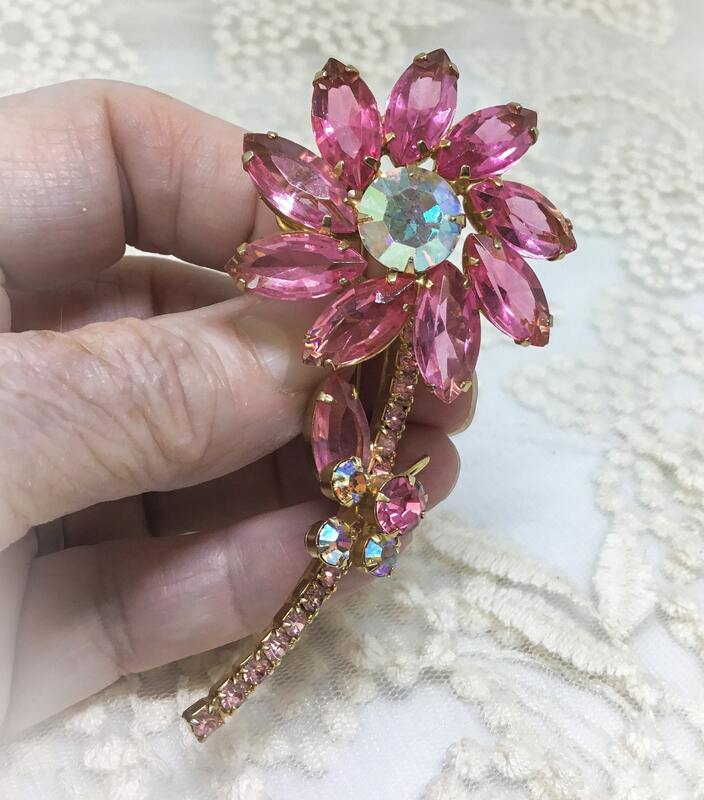 There are three construction points that identify this as Juliana; open back rhinestones, a floating hook holding the leaf and accents, and use of rivets or eyelets. 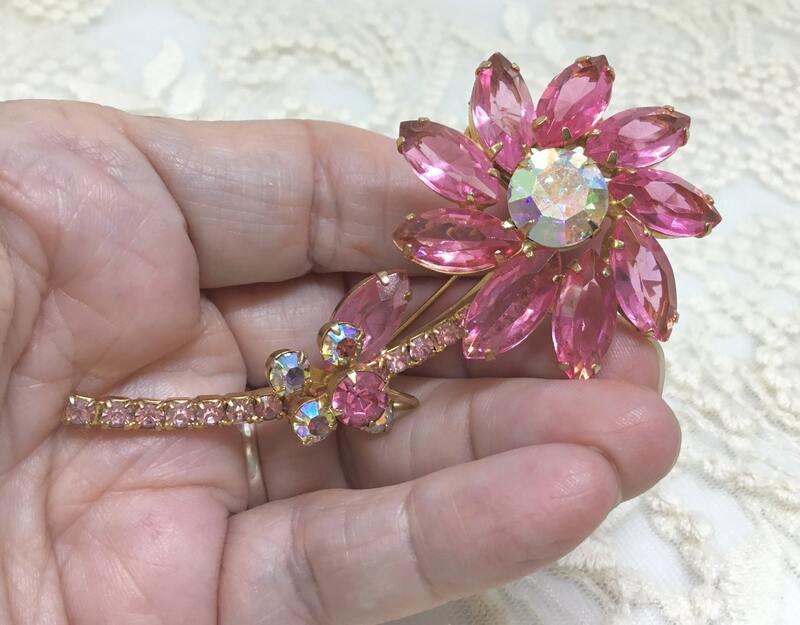 This is definitely a sweet piece that will be gorgeous on any jacket, sweater, or lapel.....or a great gift for a Juliana lover!